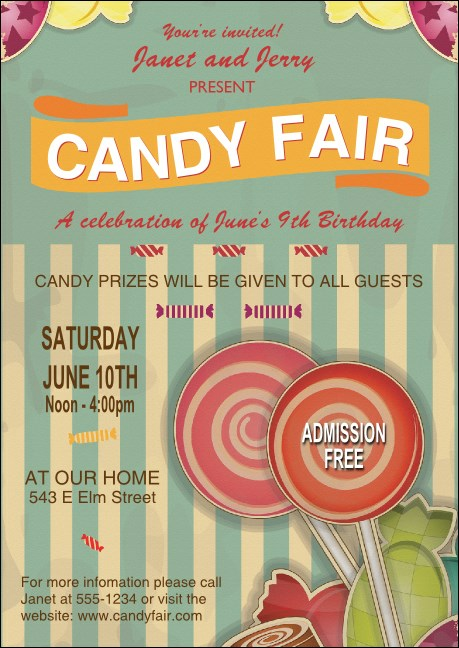 Sweeten up your event promotions with this idyllic Retro Candy Club Flyer. This pastel design features pink lollipops and a yellow banner on a blue-striped background. Enter your party, dance, or retail information on sixteen lines of the easy template below and we'll send them your way. Appeal to your guests' sweet tooth with TicketPrinting.com.